I’m writing this at the end of the year, a time when many of us are thinking about resolutions and what changes we want to make for the year ahead. And as a parent, of course, you might be thinking of changes not just for yourself, but for your whole family. It’s actually a great moment in time—it gives us the opportunity to think about what’s working in our lives and what’s not, to dream about who it is that we want to become, and to map out the road we’ll need to get there. The trouble is, sometimes the whole process can be a bit overwhelming. How do you think of what changes to make? Or if you have many ideas, how do you know which to focus on first? What’s worth tackling and what’s not? The activity we’re going to talk about is from my Mindfulness for Parents Online Course. It’s an exercise borrowed from self-improvement guru Tim Ferris, and it is the perfect tool to help you start increasing the good things around you and eliminating the bad. Many self-help and self-improvement speakers talk about adding things into your life. Even in the Mindfulness for Parents Online Course, I talk about adding various mindfulness practices into your daily routine so that they become second nature to you. But a very important part of growing as a person also needs to be removing those things that aren’t doing you any good. 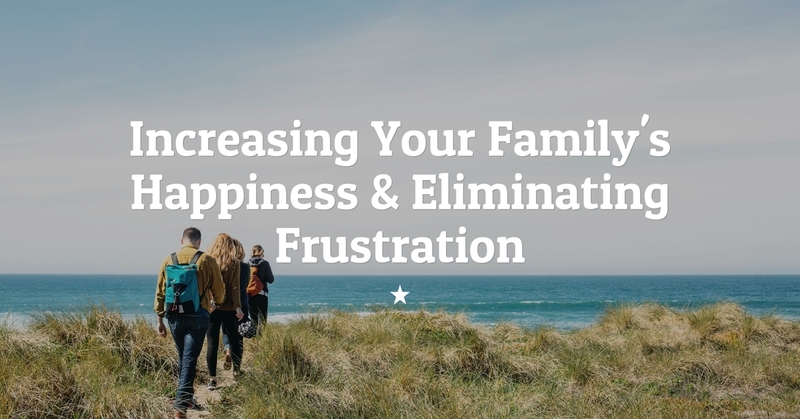 The 80/20 Exercise can help you with both of these tasks—focusing on what brings you the most happiness, and lasering in on which of the negative areas of your life need to be tackled first. This exercise is an opportunity for both mindful introspection and for taking action. Working on eliminating the negative from our lives is a bit more challenging than focusing on the good, so let’s discuss this version of the 80/20 Exercise first. The first step is to write down all of the things that frustrate you, anger you, or cause negative emotion for you in your life. Once you have written down your list, go through and circle the 20% of the items in your list that cause 80% of your frustration. These are the few things that cause most of the drama, sadness, or irritation that you feel, and these are the items that are the most important to tackle. After identifying those 20%, go through and write next to each of them the phrase “can be changed” or “can’t be changed.” For each item, truly think—is this something that you can change, or is it something that, while frustrating, is just out of your control? Now for the challenging part: For the items that cannot be changed, your goal is to accept them as they are. So much of the hardship and frustration in our lives is created by us—we spend so much mental energy fighting against things that can’t be changed, even though we can’t actually do anything to fix them. When we fight against hard or painful experiences, wishing that they weren’t there or were somehow different, we take pain—a hard fact of life—and we turn it into suffering. For those items that you wrote down “can be changed,” your goal is to figure out how to either change that problem or remove it entirely from your life. This may not be done quite easily. However, you will find that it is much easier to tackle this shorter list of problems than it is to tackle the entire list that you first wrote down. 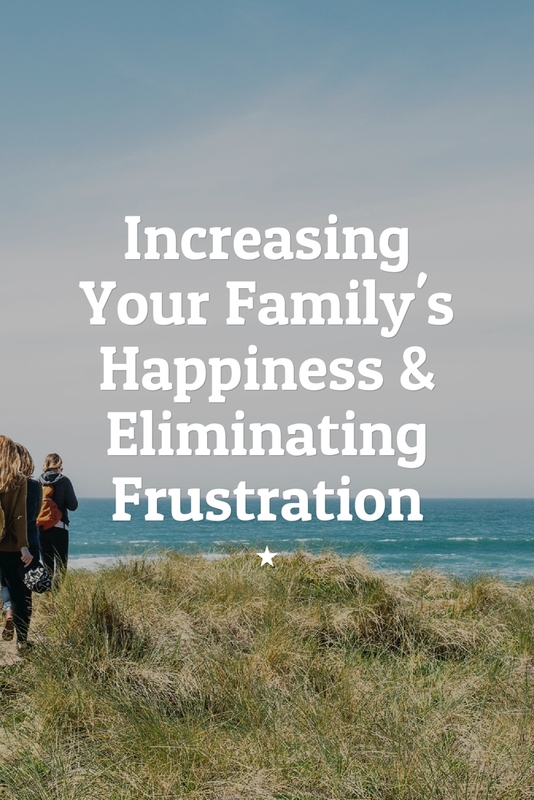 And, since these are the 20% of problems that cause 80% of the frustration in your life, then tackling even just a few will have a major impact on your day-to-day happiness. Zeroing in on the negative in your life isn’t the only or even the best way to bring about happiness, even if you are trying to decrease the negative. No, recognizing the good in your life can remind you why it’s worth making it through the hard times. What’s more, applying the 80/20 Exercise to the positive things in your life can help you pinpoint how you can maximize the parts of your life that bring you the most joy. Next, go through your list and circle the 20% of the items in your list that bring you 80% of your joy. Finally, after identifying those 20%, write down next to each of those items exactly how you can increase the amount of time you spend focusing on that item. Take a few moments to really brainstorm. Be creative. Write every idea down, don’t hesitate—sometimes the best ideas are the ones that piggybacked off of something that seemed crazy or unlikely to work. You should of course enjoy all of the things in your life that bring you happiness. But by taking care to focus on, protect, and even nurture the 20% of things that bring you 80% of your joy, you’ll find out what matters most to you and see your happiness grow by leaps and bounds. Maybe you’ll look at both of your lists and not really see any overlap. It could be that working on something to eliminate frustration in your life doesn’t necessarily help you focus more on what you enjoy. Yet at the very least, working through each of these lists will help you identify what steps to take to make things better. But what if you notice that both of your lists point in the same direction? That there are things in your life that you can change, and that by doing so you’ll both decrease frustration and be able to better focus on what you love? That, my friend, is the sweet spot—the clear path to take to start achieving the life you want to live. By clearly pointing out what causes the most grief and joy in your life, by learning to accept the things you cannot change, and by coming up with clear strategies to change the things you can—you can use the 80/20 Exercise to create a clear idea of the life you want for you and your family, and build your own map to get there. I hope that this exercise helps you become the person you want to be. Remember you can download a printable worksheet for the 80/20 Exercise by filling out the box above. And when you’re ready to take the next step in making positive change in your life, take my Mindfulness for Parents Online Course by clicking here!